Thank you all for your kind comments about my sweet little boy. We are all doing well and adjusting to being a new family of four. 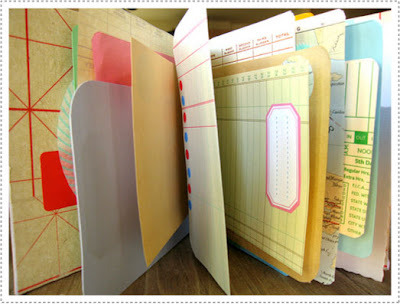 I found these scrap notebooks a while back on Poppy Talk and loved the idea. With a new little one around my need for recording my history has been rekindled and as always I enjoy new and creative ways of going about things. I also like the idea of using what you already have around as opposed to purchasing new things. I think I'll have to make a few a these. 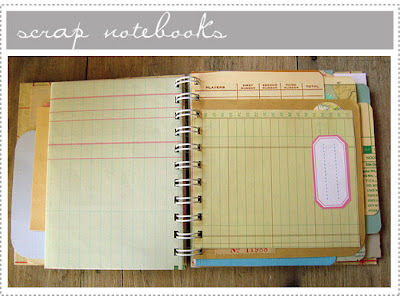 We love the look of these but couldn't find them on the poppytalk blog. Can you give a pointer to the entry? Such as the date? Thanks so much! So glad we found your blog! just wondering how it is to welcome the second baby, while running your own business? i am kind of thinking about a second baby, but a bit scared of how i will manage my new company... keep on going with the blog, it is going to be another source of inspiration! if you do make more i'd buy one.